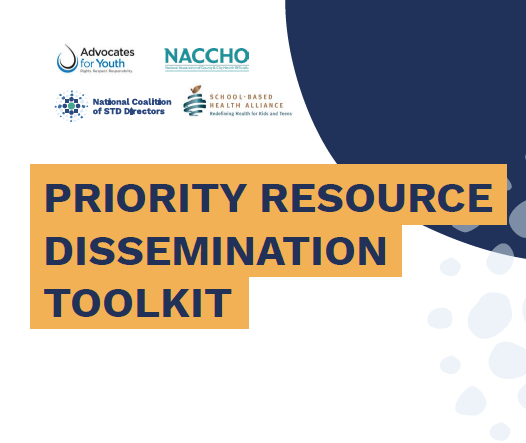 NCSD is pleased to launch the Priority Resource Dissemination Toolkit for implementing CDC-developed school-based approaches for health education, health services, and safe and supportive environments. The Toolkit provides an accessible summary of school-based priority resources, sample social media posts, and suggestions for the best ways in which to share these resources with your constituencies. 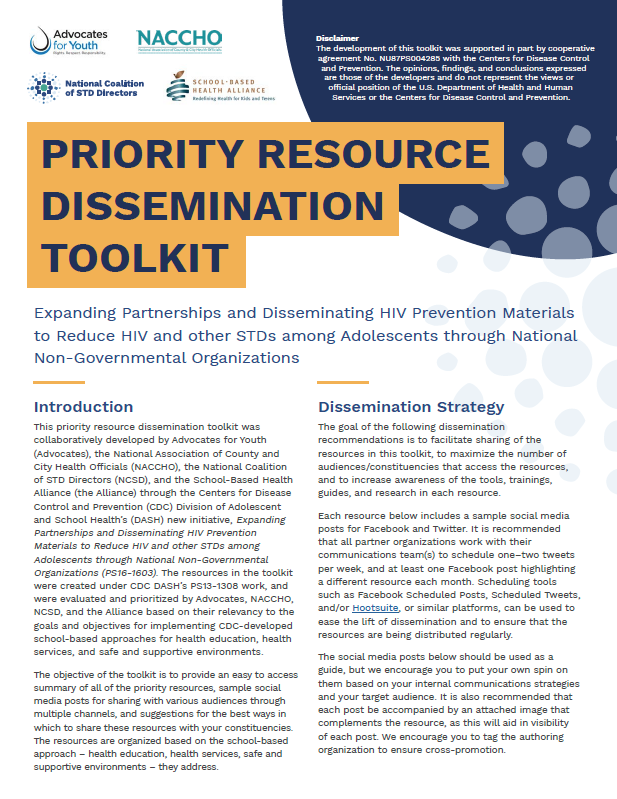 Click below to access the full toolkit.